Aug. 18, 2017. I travel back to San Diego after visiting my niece in Long Beach. 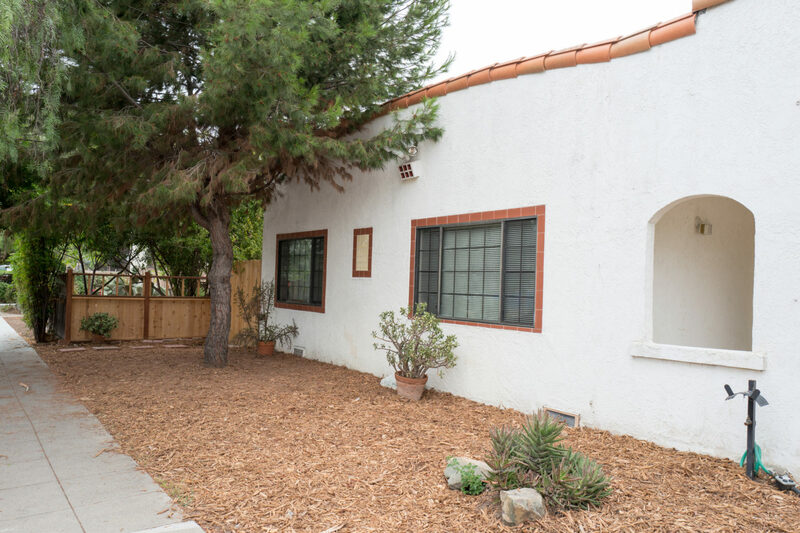 Meanwhile, two blocks from our apartment, my wife attends an Open House for a cute, Spanish-style property listed for $586,000. Anne tells the seller’s real estate agent that we can’t afford to buy the place—an effective diversionary tactic. But the 900-square-footer is within our means, and we will nearly come to own it. This is my story of wanting and walking away. I take with me disheartening lessons about the home real estate market. The tale begins with confession: Anne and I have always rented. We would have been late-blooming, first-time home buyers—in our Fifties. We had attended many Open Houses in the neighborhood over a half-decade or so but never seriously considered becoming homeowners until seeing what I came to call the Schoolhouse, because of its proximity to an elementary school. August 19, we walk there together, and I fall in love with the charming architecture, corner street view, and lovely pine tree that adds shade and character. Home selling prices are outrageous in University Heights. To buy in to the neighborhood for under $600,000 would be an opportunity come once and likely never again—certainly not in such prime location or smaller size suitable for our lifestyles. I feel connection, too, with the Schoolhouse being on one of my regular walking routes and because of the coincidental chance meeting new neighbors on the same block when local teens captured a feral momma cat and her kittens, just days earlier. I call our broker about making an offer, a process that is completely foreign to me. We agree on $590,000, hoping that our living in the neighborhood for a decade and wanting to stay here will positively influence the seller’s decision. He contacts the agent to let her know that our offer is coming. Not long later, Anne and I receive emails with links to electronically sign the paperwork. Minutes before six, the broker rings to say that the seller accepted another offer. The agent called him with the news and to ask if we would be the official backup offer in the event the other fell through. The request raises questions about the agent’s confidence making a successful sale to the other prospective buyers, whom I later will be told is a couple who professionally are lawyers. The before-offer-acceptance-deadline call foreshadows future behavior—not that I could understand then. The decision to accept their offer had seemingly already been made, as would be another predetermination that weeks later would lead our purchase plans to collapse. August 29, 9 a.m. I walk by the Schoolhouse and see activity inside. After passing, I turn around and strut back, to find the agent removing something from her SUV. I introduce myself as her “backup offer”; she remembers who I am and invites me inside. Meanwhile, beneath the structure, a contractor inspects the foundation; he had been called to provide an estimate on repair work. My choosing not to continue walking by will become a momentous, magical decision. The agent expects that the lawyers will withdraw their offer. Days earlier, after having previously communicated with the agent directly, they told her to only speak with their realtor, a change foreshadowing the house falling out of escrow, she says. Prospective buyers have a pre-evaluation contingency period, during which they can vacate the offer and retain their deposit. The couple had shortened the time to 10 days from 17; they were in a hurry to close escrow and to buy the house. Apparently. Forty-eight hours remain to commit or withdraw. While the agent explains all of this to me, her phone pings with email from the lawyers’ representative: They are out, and here I sit in the Schoolhouse with the seller’s agent. I smile, because the agreed upon backup offer moves to the front of the queue, and it is binding even if lower than the amount accepted from the lawyers. But no! There is a complication. Even though outside the Schoolhouse the agent said she knew who I was when introducing myself as her “backup offer”, she suddenly claims to have no confirmation. My broker never responded, she says, and so our offer expired after 72 hours. Did he really screw up after calling me to ask if we wanted to be the backup or was she conveniently mistaken? I don’t bother to find out. There is a sense of destiny being where I need to be and at the right time. Punctuating synchronicity: Our apartment lease ends September 30 and we aren’t required to sign anew before October 20. From another perspective, timing is perfect, if we can close the purchase before the end of next month. The agent makes clear that the previously-made $590,000 will be countered—and I know the property is in demand. What if we offer $600,000, I ask. The seller will accept, she says. I call my wife, then the broker; he at first recommends against the extra 10 grand, then relents. Anne and I electronically sign the offer documents around 10:50 a.m. Meanwhile, in what appears to be openness and candor, the agent invites me to hear the contractor’s report about the foundation, which she says the seller will pay to restore. She invites me to come by the next morning, when she will review other repairs with the contractor who had done interior renovations. August 30. A whirlwind of activity whips up, starting 9 a.m. at the Schoolhouse. The agent and I sit discussing a list of proposed repairs based on the lawyer couple’s inspection report, which I have not seen. Home inspection is one of the crucial activities that takes place during the 17-day contingency period; if dissatisfied with the property’s condition or should there be dispute over prospective repairs, we can withdraw without penalty. Outside, parents walk their kids to the elementary school. It is a delightful moment; serene, even with the rising and falling of young chatter and laughter moving past. I feel good about the Schoolhouse. The contractor arrives, and we discuss repairs in what is another foreshadowing moment. I agree to let some things on the agent’s list pass, in part influenced by her subtle, but deliberate, prompting; my excitement overwhelms good judgment, too. At 11 a.m., Anne and I arrive at the broker’s office, where we sign a mountain of paperwork, including documentation necessary to (hopefully) secure a mortgage. Preapproval is one thing. Underwriting for a $472,000 loan is another. We are both overwhelmed by the commitment and the amount expected to be spent in cash: Estimated $135,000, when adding closing costs to the downpayment. At 1:30 p.m., we meet with a banker to wire $8,500 from our account to the escrow company. The transfer whisks through for delivery the same day, five minutes before the 2 p.m. deadline. ‘River Rock’ perimeter foundation walls do not contain horizontal reinforcement. The lack of foundation anchoring for the dwelling structure and the garage structure combined with the age of the materials, the design and construction of the perimeter foundation footing and stemwalls are beyond their service life and cannot be relied upon to continue functioning as intended. The extensive number of defects observed in the floor-framing components along with the lack of any positive attachments reinforces that the complete underfloor framing, post and piers, and with the perimeter foundation walls would be unsafe in a significant seismic event and is at the end of its service life. 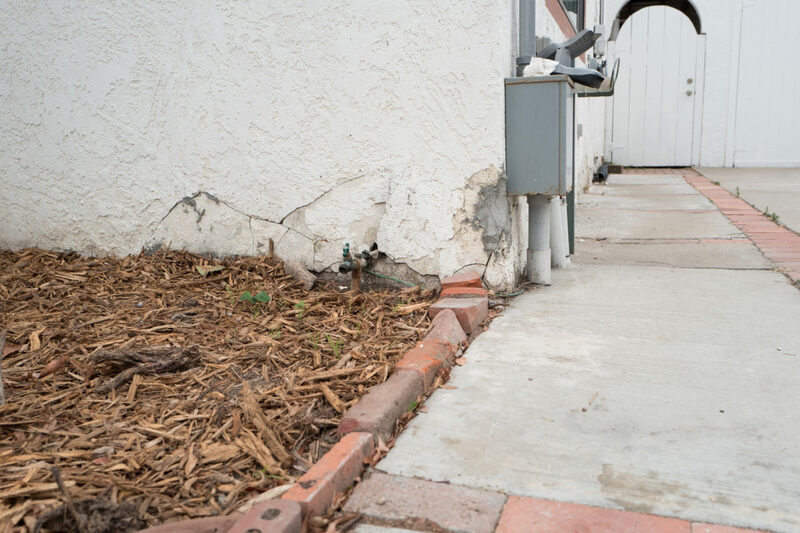 The lack of foundation anchoring and ‘River Rock’ foundation walls with numerous framing defects are an END OF SERVICE LIFE—MATERIAL DEFECT CONDITION. The inspection report recommends “further evaluation before removal of pre-purchase investigative contingency” and outlines a list of repairs necessary to make the foundation safe. Corner of the Schoolhouse where the foundation pillar is “disintegrated”. Several phrases throughout the report impact for their prominence: “End of Service Life”, which appears on 16 pages; “Safety Hazard Condition” (18 pages); “Material Defect Condition(s)” (22 pages); “Not Functioning Properly” (23 pages). Several instances per page isn’t atypical, and their frequency cause me anxiety. In the concluding remarks, alongside caveats about the inspection’s limitations, is warning: “As a property owner, you should expect ongoing problems to occur and budget 1 percent to 3 percent of the property’s value every year for repairs”. Based on Schoolhouse disclosure documents that I will later receive, the assessment is right on the money. I understood going in that the Schoolhouse was built during the 1920s and had been a rental property for about a decade before the owner decided to sell. Some problems are to be expected. But the report raises real doubts about the property being a safe, worry-free home for the Wilcox family. Had the agent sent the document before Anne and I put money into escrow, we likely would have withdrawn our offer. As for the previous buyers’ inspection report, my problem is this: The selling agent and I have been discussing issues, many of which she diminished in importance. She pointed them out, of course, and I accepted them as being things we could live with based on her seeming frankness. But this report puts many of those things in a different context. My enthusiasm for the property rapidly collapses. My brother-in-law, who is a professional contractor living back East, agrees to provide some quick, down-and-dirty long-distance consultation. He isn’t enthusiastic either. I tell him that if I owned a home that would be partially or fully renovated before sale, an inspection would be first order of business. My thinking: Spend the budget wisely on fundamentals first. But, unless I misunderstand, that’s not how the real estate market works—as my brother-in-law so disappointingly explains and further investigation later confirms. The seller must disclose anything that he or she knows about. Ignorance is bliss, as they say. Therefore, buyer beware. In a grok-me moment, I see the agent’s frankness differently. My guard goes up and trust flops down. Henceforth, most of the interaction happens between agent and broker. I am a third-party. September 1, 10 a.m. Our broker and I confer by phone. Anne and I have agreed to continue. Walking away would be premature ahead of our own inspection, which takes place in two days. The seller’s agent had set up a partial inspection in response to that first report. She offered to split the $425 fee, should we want to get the full-on thing. Apprehensive about potential conflicts of interest, I ask our broker, who says to do it. September 3, 9 a.m. Anne and I walk to the Schoolhouse. The inspector is there, having arrived about an hour early, so that he could climb onto the main building and garage roofs and survey them. Otherwise, we would wait around for him; the approach makes easier his going around the property with prospective buyers. He is professional, courteous, and thorough. Quickly, it becomes clear who he works for. Us. As the process starts, I tell the agent to forget everything that I had agreed not to repair when walking the property with her contractor. The reason is candid: Many things that I had accepted to pass on received red-ink treatment in the previous buyers’ report—such as items designated end-of-life or safety hazards. “We’re starting fresh”, I tell her, referring to our inspection today. What shouldn’t need clarification: Repairs that the agent had already agreed to will be made. Being no soothsayer, I can’t foresee how this seemingly fleeting interaction will lead the sale to doom. The Schoolhouse casts an appealing profile, even with the driveway. The foundation is more or less a non-issue, because the seller has agreed to pay for repairs. Nevertheless, the inspector spends some time beneath the house. He asks the agent what company will contract the work. There are two possibilities. He knows one, and offers praise. He also suggests another. To us, he recommends having the building re-evaluated after the foundation is restored. Raising the structure and repairing the pillars could create new problems. He suggests seeing how doors close afterwards compared to before, as one checksum. The repairs that the inspector identifies are fairly consistent with the document that I received days earlier. Something stands out, though. During the contractor walk-through, which to reiterate was before I had seen the previous buyers’ report, the agent explained that safety concerns had been raised about the gas stove being snug against an unprotected wall. “Fire hazard” is the phrase used by the first inspection company. The agent had suggested then, and again now, placing a sheet of metal between stove and wall; in my ignorance, that made sense enough to me, and I had agreed. Our inspector nixes her idea. Heat, not flame, is the ongoing risk. Surveying the kitchen, he suggests: If the short wall separating stove and refrigerator isn’t load bearing, remove it. Simpler solution: Replace the range with a smaller model. The agent interjects with suggestion that Anne and I sell the stove, which is only about 18 months old, on Craigslist and then buy another. “We don’t want to be burdened with that”, I quickly rebut. Anne will later tell me that the agent stiffened, shocked. It is another foreshadowing moment, but for the agent rather than us. She had seen our enthusiasm, now came resistance; culmination will be our eventual “Request for Repairs”. The inspector is unable to demonstrate the heat risk. Mysteriously, the natural gas is turned off, which also means he can’t confirm that, in addition to the stove, the clothes dryer, heater, and hot-water heater are functional. Pluses: The garage and house roofs had recently been replaced, and there is a 10-year warranty on the latter (eight remain). Electric wiring inside the main building and plumbing pipes beneath appear to be up-to-date and to code. In many respects, the Schoolhouse has been well-maintained. What a relief! But outside, the inspector identifies major problems that will eventually lead to an impasse between seller and buyer. The patio bricks are so uneven as to be a major trip hazard; Anne stumbles several times, not coincidentally. The garage is useable only as a storage shed, because the multi-cracked slab sinks five to six inches below the driveway. One of the double-swinging doors opens, the other doesn’t, and the overly-large hot-water heater (50 gallons) takes up too much space for a car to fit by. A padlock secures the garage. Anne says she sees this type of lock easily and frequently picked by people rummaging dumpsters for redeemable bottles and cans (our apartment overlooks an alley). That makes the garage a home-security risk—a weak point of entry. The garage poses another concern, and it’s about safety. The previous buyers’ inspection report warns that “the garage structure south and west walls are within 3-feet of the property line but are not a fire-rated barrier assembly”, and that “the lack of adequate fire-barrier for structures near adjacent properties has a higher spread of fires between properties and is a SAFETY HAZARD CONDITION”. I express concern because of a recent fire, which cause is attributed to oily rags—the agent tells us in response to my question “How?” I pull Anne aside and ask: “How do oily rags spontaneously combust?” Our inspector points out fire damage evidenced by blackened pipes leading out from the water heater. The inspector takes us to the side of the driveway to discuss drainage. The pipes feeding water off the two roofs empty alongside the house—right into the foundation! It can’t be coincidence that damage is most severe here. He describes the front pillar adjacent to the driveway as being “disintegrated”. He strongly recommends running pipe underground, that also drains water from the back of the property, to the street. The work would mean digging up part of the driveway and sidewalk. He later tells me that if the drainage problem isn’t resolved, the eventually repaired foundation will be ruined again in 10 years. Also, in post-inspection communication: “I think poor site drainage may be the cause of settling of both the patio bricks and the garage slab. When the soil is saturated, everything starts to sink into the ground”. After the inspection ends, Anne and I walk back to our apartment. She is ready to exercise her veto, and I cannot disagree. Even before the report arrives, I start drafting an email to our broker that succinctly gives our reasons for withdrawing. The communication begins with praise for some of the property’s positives before moving onto the negatives: “Some problems, particularly on the exterior, are dealbreakers for us, based on the actual inspection”. Drainage is the narrative, in what I write and later add after the emailed report arrives around 5:30 p.m. The [Schoolhouse] was a unique opportunity to buy in our current neighborhood…I am disappointed to pass on the property. Given that we would stretch our finances and middle-aged bodies to buy the house, drainage—and the clear catastrophic impact on the foundation, garage, and back outdoor area—present burden we don’t want to take on, for monetary and physical reasons. September 4. The broker’s office is closed for Labor Day. The Schoolhouse is an ongoing discussion between Anne and I. We drive down to Imperial Beach to scout out homes nearer the ocean. Because of the magical sense of destiny leading to our offer, I want to marshal on, telling her that “We should let it play out”. I would rather that the seller give up, than us. She relents, and I send an urgent email to our broker telling him not to process paperwork withdrawing our offer. Logistical obligations occupy the next few days. There are papers to sign for the title company and a swath of disclosure documents to thoroughly read about the Schoolhouse; they later also must be digitally signed. I get home-owner insurance quotes. We order (and I pay $500 for) an appraisal. Then there is writing up the Request for Repairs—a crucial followup to the inspection during our 17-day contingency period, which concludes September 15. September 7, 3 p.m. I email the Request for Repairs to our broker. He reviews overnight, and we discuss the next day. Since I don’t know the format, and being a journalist accustomed to citing sources, I refer to or excerpt from both inspection reports for each repair request. The document is more than nine pages long. The broker decides to attach my missive to the typical form. I receive a notice to digitally sign the Request for Repairs, but he tells me to wait until September 10, when the Schoolhouse is scheduled to be appraised. He hopes for near-simultaneous informational release. September 8. The agent calls the broker, seeking some sense what to expect from the Request for Repairs. She indicates that, in addition to repairing the foundation and also treating for termites, the seller would consider offering us $5,000 compensation. September 11. The broker sends the Request for Repairs, and he receives surprisingly fast response. Basically, nothing is changed from the 8th—escrow closes as previously agreed on the 29th. The agent reveals that the seller has chosen a contractor to repair the foundation, which work will take about two to three weeks, starting in October, while we are living in the house. We would want an additional property inspection following the reconstruction, with our contingencies kept in place. The work must meet standards for safety and building codes, as confirmed by the inspector. We also want to be certain, by way of a second house-interior inspection, that work done when raising the building to place/repair pillars did not create unintended consequences…We must be assured that the house is sound—within and without—to purchase the property. Hence, our expectation to keep in place pre-purchase investigative contingencies until after completion of the second, thorough inspection. In part of my email response to our broker: “Based on your Friday conversation with the selling agent—when she put forth the $5K figure—and speed of her response, I must presume that there already was a decision made about repairs. If so, I don’t see much of a forward path here”. I experience déjà vu, suddenly recollecting back to the seller’s acceptance of the first offer seemingly being an already-made decision. My message continues: “We most certainly won’t move into the property before the foundation is repaired, nor would we close escrow before being satisfied by a post-foundation-repair inspection. Those are reasons enough to reject the proposal”. To the agent’s credit, she finds a second company that could begin foundation reconstruction immediately and complete it before escrow closes. Condensation is persistent between the panes on windows with cracked seals. September 12. The agent finally directly responds to the Request for Repairs, which I fully admit asks for much. Considering that the Schoolhouse’s selling price was $586,000 and because we would inherit money-pit-fix burdens—like spending tens of thousands of dollars to add proper drainage and to restore the garage—I had repeatedly requested reduction/compensation. I also asked the seller to share some expenses, such as replacing windows. When drafting the list of repair requests, I approached it as a point of negotiation: Ask for more than you expect to get. But the response is even less. The agent’s email is a shocker. I had assumed that the $5,000 compensation would be in addition to basic and safety repairs that she and I had discussed during her contractor’s walk-through; she repeatedly emphasized how her client would fix anything safety-related. No longer. The seller plans to pass those repairs on to us because, the agent writes, “Joe had me hold off, so I did”; I presume she refers to my statement at the start of our inspection. That’s not how I remember the conversation, nor does Anne. It’s another bout of déjà vu, as I recall the backup offer confirmation that the agent says she didn’t receive. As sunset approaches, I ring our inspector to see if he is familiar with the foundation contractor (he isn’t). I ask additional questions about drainage, to ensure my concerns are justified (they are) rather than basis for unreasonable repair requests. The Schoolhouse sale sails dire straits. I cling to hope that the appraisal can steer the ship to safe waters. But my sense of dread is intense. Our broker had said that falling out of escrow twice would put the agent and seller in a bind. As such, I expected more negotiation, even some accommodation. I share suspicions with Anne that perhaps there is other interest in the property and potentially some other buyer ready to go into escrow behind us. September 13. A week earlier I told my wife to expect everything to converge on this day, and it does. The appraisal finally arrives via email. The mortgage company approves our $472,000 loan, and the broker says surely we would lock in an interest rate below 4 percent should the sale proceed. I had hinged much hope on the appraisal, expecting it would come in as low as $560,000 (the broker speculated $575,000)—one reason I felt free to push for price reductions to cover the cost of the many, expected forthcoming repairs. But the appraisal is nowhere near that low, and from the report and, later, additional research, I learn lessons about how real estate sales really work. Apparently, an appraiser largely decides a home’s value based on visual inspection and by comparing against similar sales in the neighborhood. While our offer price was higher than some sales, cost per square foot ($653.59) was lower than most. Recent renovations, particularly those that are obvious, can positively influence appraisers as much as potential buyers. Meaning: Sellers can get away with putting lipstick on a pig. Despite what many believe, appraisers primarily represent lenders and confirm a property’s value rather than determine the value. Appraisers are versed in reconciling a value for a buyer and seller to agree upon in a purchase contract. “Real estate agents have an advantage in determining value”, the writer, Darrell Catmull, continues. “An appraiser doesn’t go inside homes with buyers. Instead, appraisers rely heavily on the photographs and description the listing agent wrote”. The agent keeps (or did) additional keys in a kitchen drawer. Why didn’t the appraiser know this? I had anticipated that the patio and garage, particularly, would negatively affect the property’s appraised value. The broker and I discuss this oversight, and he says it will cost an extra $150 for the appraiser to follow up. With our contingency period nearly exhausted, there is no guarantee he could do the work or issue an addendum in time. Options are limited. There is little to no wiggle room on the purchase price and no real risk to the loan. 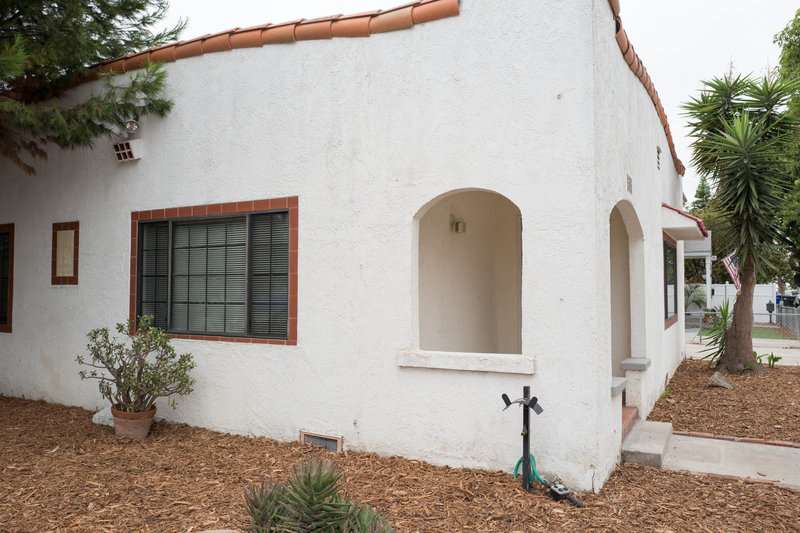 The seller will fix the foundation, treat for termites, and provide $5,000 consideration at closing. 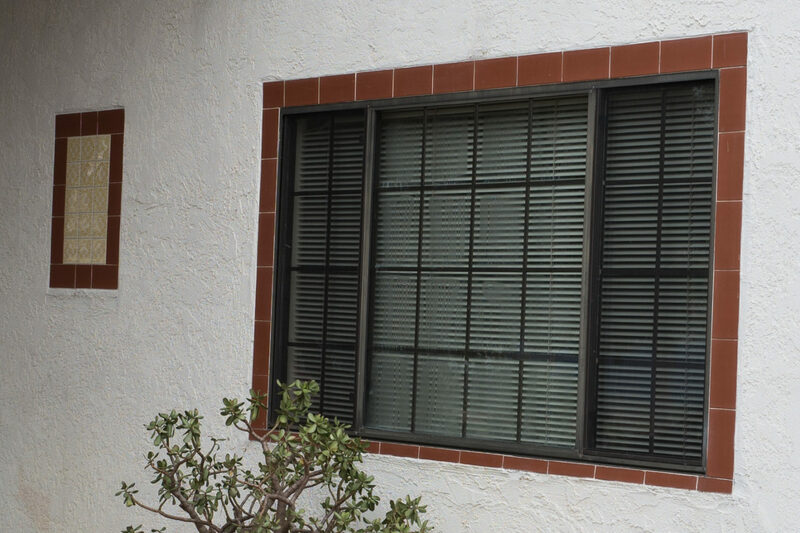 We are responsible for anything else, from small fixes to necessary improvements—like replacing the windows. Three of the six main ones have broken seals such there is permanent condensation between panes. I am mystified why obviously visually apparent problems like these do not affect the appraised value. “Let’s pull a Donald Trump!” I tell the broker. “Ask for a $25,000 price reduction”. If we’re going down, we should do so fighting, I reason. We make an outrageous request and see where the other side is willing to meet. That said, by my math, thinking about an estimated $15k-20k to renovate the drainage system and reconstruct the garage, the number isn’t meritless. The broker says he will call the agent rather than submit a formal response to their response to our Request for Repairs. I am unsurprised to hear from the broker that the agent rejected the proposal. She wouldn’t consider $10,000 either. He then explains that she said we should walk away (essential meaning, I don’t recall the exact wording). On Labor Day, I had told Anne to “Let it play out”. And so we have. The Wilcoxes won’t be living in the Schoolhouse. The appraisal arrived at 9:22 a.m. The broker and I spoke around 10 a.m., followed by his conversation with the agent. At 11:04 a.m., Anne and I digitally sign the document that cancels the contract. We are out. Perhaps in an alternate universe we were able to buy the Schoolhouse. I really wanted the sale to push through. But when you told me this morning that the seller wouldn’t even agree to $10k, my heart sank and I had to accept there was no forward path. Even if the garage and drainage were set aside as legitimate issues, the seller had backed away from doing basic repairs other than the foundation and (perhaps) tenting…Perhaps the agent has had other inquiries and is confident the property will sell—maybe even ‘as is’. September 16. The realtor’s “For Sale” sign outside the Schoolhouse still shows “In Escrow”, and I wonder why? I have become like one of those jilted lovers who follows around his ex. I’m a, ah, property stalker. I look for the sign to change, wondering if another suitor immediately replaced us. Property stalking is how I came to even make an offer, admittedly. After losing out to the lawyer couple in late August, I would walk by the Schoolhouse more frequently, hoping the “In Escrow” sign would go down and the Wilcox family’s opportunity could come up; as it eventually did. Now I look again for different reasons. “Sale Pending” or “Sold” will bring closure. I reflect on what we could have done differently, such as keep communications more open and direct with the agent. But I distrusted her after reading the first inspection report and regarding it in context of our preliminary conversations about repairs. I don’t suggest that she acted improperly or irresponsibly. Obviously, her client is (or was) her priority—as should be. She didn’t represent Anne or I, and we were in many respects adversaries to her client; as might be any potential buyer. Receipt of the first inspection report, which inconveniently arrived after we committed money to escrow. Completion of our own inspection, which raised serious questions about ongoing, catastrophic water damage. Response to our Request for Repairs, where the seller would fix the foundation and offer $5k for us to take on other repairs. Anne and I were fairly detached by the time the sale disintegrated. The previous buyers’ inspection report dampened our enthusiasm, early in the process. But we pressed on with a sense of destiny and to gain experience we lacked about home buying. We were willing buyers right up until the agent said to end it. With financing secured, September 13 could have been the day that the parties celebrated an agreement, instead of conceded disenfranchisement. We were ready, despite risks that made us cautious. Anne and I are both soured about home buying, after experiencing great stress over what we expected to be a best-case scenario. The Schoolhouse was the family home that the seller inherited from her dad. Unless I am mistaken, she is a nurse by profession. With location and property character we liked, presumed integrity of the owner, and her assumed sentimental feelings about the family house she kept and rented for 10 years, the buying situation looked to be opportune for everyone. We are honest people whose integrity should have rewarded her. We may be closing in on the day when a $1-million listing sells for $2 million, even as the homeless count rises. If and when that happens, we’ll deserve whatever horror is visited upon us, be it locusts, pestilence, rabid coyotes, or $5,000 iPhones. Oh yeah? Call me cry-baby if in a year the $600,000 Schoolhouse values at $1 million, and I let it go. September 17, 6:45 p.m. On my evening walk, I approach the Schoolhouse. The “In Escrow” is gone from the For Sale sign. My feelings are mixed disappointment and sadness. I really hoped that the agent had another offer ready and waiting. I still love the Schoolhouse, and I empathize with the seller. If this failed sale was emotionally exhausting for me, surely it is more so for her. 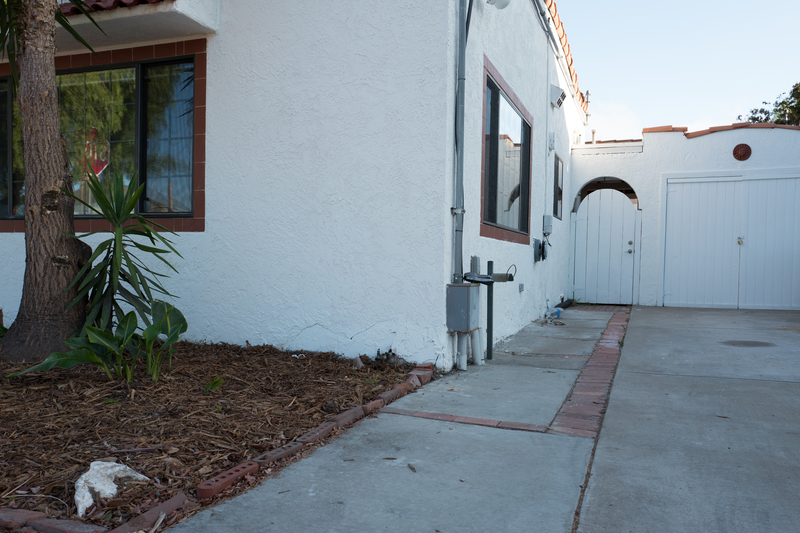 Two buyers backed away after entering escrow. Hardship remains. As I pass, two women’s voices rise and fall from beyond the back-patio door. My pace quickens. This is one place I don’t want to linger tonight. Nor walk past anytime soon. Suddenly, unexpectedly, something changes. I am a property stalker no more. September 21, 3:15 p.m. Mail call! Is the long-awaited check here? Nope. Eight days after falling out of escrow, our $8,500 deposit is MIA. I politely email our broker asking if there is something we need do to initiate refund. His reply is immediate: “I will call now”. It takes his office about 30 minutes to sort out things. 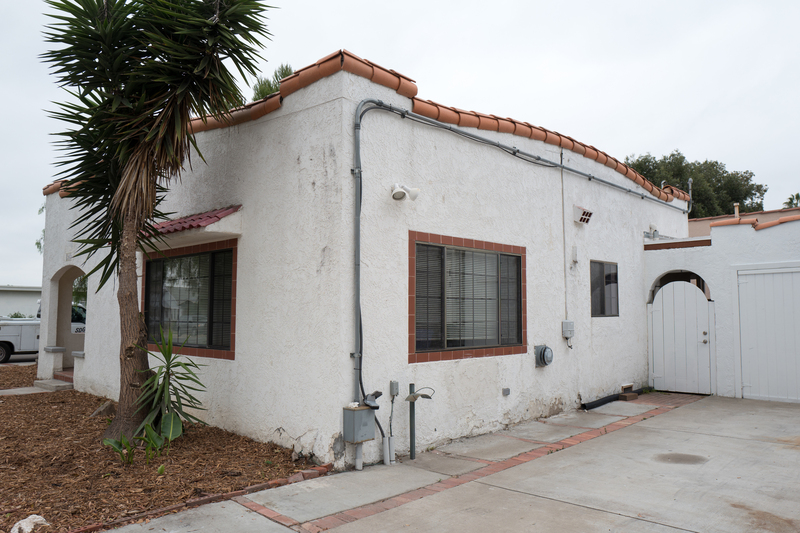 Apparently the seller’s agent never submitted the necessary paperwork to the escrow company! Ah, yeah. The phone call from the broker’s office is unnecessarily apologetic (hey, we know who to blame), and I express repeated appreciation. The broker is supposed to receive a call when the check is cut and mailed. Fingers crossed. September 23, 3 p.m. The check arrives, and our closure comes with it. I walk to the bank, only to experience a different, and unwelcome, kind of closure. Doors are shut and bolted, while signs tell of some unnamed emergency that demands locking up early. I will later learn that there was an attempted robbery. Yikes! Mmm. Is that a metaphor for my experience with the Schoolhouse? Fresh paint covers over cracked stucco (compare to earlier pic). September 30, 5:15 p.m. I stealth around the Schoolhouse with my camera. Yesterday, as I passed by on my way to the grocery store, a workman painted over the splintered stucco around the building’s base. What’s the difference now? To find out, I snap two quick pics capturing the location where beneath the front foundation pillar is, or perhaps was, disintegrated. October 4, 4:45 p.m. I set out for the veterinarian to pick up medicine for Cali. As I walk down Meade towards the Schoolhouse, the “For Sale” sign glares back “In Escrow”. Whoa, was that there yesterday? Not that I recall. October 5, 9:45 a.m. Walking down North Ave., I see cat Charlie sprint across the street. I arrive at his home, and former residence of kitty The Colonel, just as his owner arrives. We chat casually, and I ask her how things are going for the family, which transplanted from New York about two years ago. She wonders if we plan to stay in San Diego (remembering that my father-in-law passed away 9 months ago). I tell her we almost bought a house nearby the elementary school. Her face expresses super surprise. She pauses, then asks a question that clarifies the location. “Our friends used to live there”, she tells me. Now I am the stunned one. She had seen the “sign go up and down many times”, referring to the “In Escrow”. She then remarked how good the price was for the neighborhood, and I had to agree. Of course. Sigh. She had been inside the Schoolhouse many times, when her friends rented the place. Only had I known. Oh, the questions Anne and I could have asked the couple about the property, and who knows the outcome the answers might have precipitated before the sale collapsed. November 2, 6 p.m. I see Charlie’s other owner waiting for AAA. His car battery is dead. I mention the previous conversation with his wife. He isn’t as diplomatic, telling me the renters didn’t take very good care of the Schoolhouse and that it obviously needed lots of repairs. Conversation ends abruptly when tow truck arrives. November 3, 5:15 p.m. Anne and I walk by just as a woman neither of us recognize leaves the Schoolhouse. Has someone finally bought the place? November 4, 10:37 a.m. As I approach the Schoolhouse, the staging furniture is out front and a U-Haul truck is parked in the driveway. The “For Sale” sign lies on the grass. Someone has bought the property. Whoa. November 4, 5:14 p.m. Someone is moving in belongings. The Schoolhouse is inhabited! Disclaimer: This reflection purposely does not mention any of the parties by name or give the address to the Schoolhouse. I shot the Featured Image and accompanying photos using Leica Q, which doesn’t capture GPS data, so that the location wouldn’t be easily revealed. Sure, someone could find with a little effort; emphasis “e”. I write this essay more to preserve the moment, but also hoping our experience might help others. Sharing is as honest as I dare, without risking writing something that unintentionally malign’s the character of anyone involved or jeopardizes any sale of the Schoolhouse. Think of this as a personal, publicly shared recollection; nothing more.